My So- Called Handmade Life: One More Time, Folks! I was serious when I said I was going to start making clothing I can actually wear in the South. (Sorry, this is just about knitwear, which I realize isn't very serious.) So, I used Webs 40th anniversary sale as an excuse to get some hemp, cotton, silk, and nylon-poly-whatever yarn. Though I think I will always prefer knitting with 100% wool and wearing a different oversized, fair isle something everyday, I have to face reality. It's in the 70s now, soon to be near the 100s, and I'm too young to die. The truth is, I got much pleasure from all of the lightweight things I made last year. 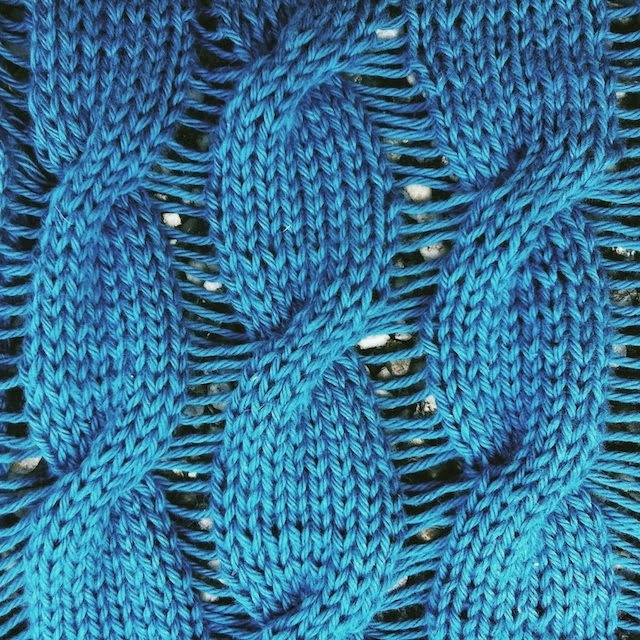 The beauty of knits that are wearable in the South is that they are scant, and so quicker to complete. These non-animal fibers also tend to be a bit cheaper. The tricky part will be figuring out how each type of yarn behaves. I'm used to using something I can stretch and squish into shape. I suppose swatching will be all important now. Sigh. And so this is my swatch for Allyson Dykhuizen's Fire Opal Tee. Even though it's just a tiny swatch for a refined looking top, I still felt very street dropping those stitches. I was hearing Joan Jett in my head as I worked the drop all the way down. I can't wait to do that to the real thing. If you haven't noticed I'm on the knitalong roller coaster. There's no getting off now, so I joined the Selfish Sweater KAL for this tee. I'm still working on Everett Henley for the Holla Knits KAL, and I'm thinking there will be another Tops, Tanks, and Tees KAL a bit later. It's like when the amusement park is about to close and the ride operator lets you go again and again because there is no line. Each time it seems the coaster will slow to a stop you hear them say "One more time, folks!" and it speeds back up. I always loved being at Astroworld just before close for that reason. This link completely takes me back. That is so cool! You should try Hempathy, if you haven't before. When it's all washed up and blocked, it's probably my favorite non-wool yarn. I can't wait for this year's TT&T KAL. 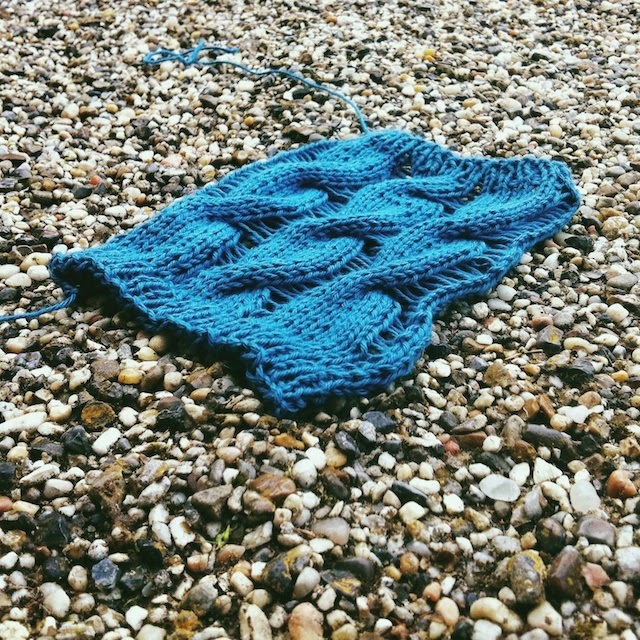 I have my pattern picked out and the yarn frogged from it's previous incarnation, ready to be something wearable! I'm so ready for the TT&T KAL too! That's good to hear about Hempathy. I should have a box waiting for me at home with enough of it to work up that top.